The latest artist to announce New Zealand shows is making rock fans’ dreams come true. 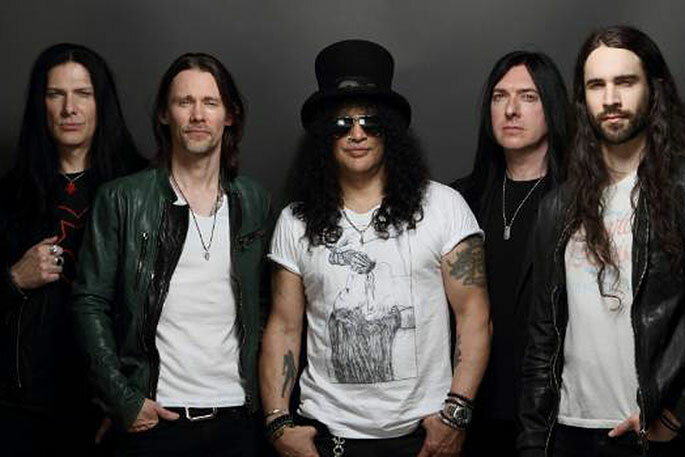 Slash is returning to New Zealand in January with Myles Kennedy & The Conspirators in tow. The Grammy award-winning, American rock guitarist and Rock and Roll Hall of Fame inductee will be bringing his ‘Living The Dream Tour’ to Tauranga in January 25 at Baypark Arena. The tour will support the release of Slash’s fourth solo album Living The Dream, released on Slash’s own label Snakepit Records in partnership with Sony Music New Zealand. Slash has worked with Myles Kennedy & The Conspirators on three albums: 2012's Apocalyptic Love, 2014's World On Fire and 2018's Living The Dream. In the announcement Slash says, "making records and touring and getting up on stage every day and playing music with these guys, that is the essence of living the dream." They will also be playing Auckland at Spark Arena January 26.